If you watch prime-time television, chances are you watch at least one crime drama. Most of us do. 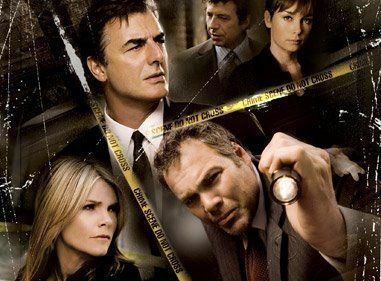 Year in and year out, the most consistently popular shows on television are about crime: CSI, Law & Order, Cold Case, The Closer, and all of the other spin-offs and ad nauseum syndications. Regrettably for the viewing audience, a recent study from Purdue University suggests that the more we feed this craving for crime drama, the more distorted are our views of the criminal justice system and crime rates overall. Glenn Sparks, a professor of communication who studies mass media effects, and Susan Huelsing Sarapin, a doctoral student in communication, conducted 103 surveys with jury-eligible adults about their crime-television show viewing and their perceptions of crime and the judicial system. Their research was presented in October at the International Crime, Media, and Popular Culture Studies Conference: A Cross Disciplinary Exploration at Indiana State University. Viewers of crime shows also misjudged the number of police officers and attorneys in the total work force. Lawyers and police officers each make up less than 1 percent of the work force, but those surveyed estimated it at more than 16 percent and 18 percent, respectively. Our studies have shown that growing up from infancy with this unprecedented diet of [TV] violence has three consequences, which, in combination, I call the “mean world syndrome.” What this means is that if you are growing up in a home where there is more than say three hours of television per day, for all practical purposes you live in a meaner world – and act accordingly – than your next-door neighbor who lives in the same world but watches less television. The programming reinforces the worst fears and apprehensions and paranoia of people. The present study is especially interesting in light of recent Gallup stats on public perception of crime as discussed on the blog Neuroworld, here. Crime decreased all through the 1990s, and for the last decade crime rates have remained steady. Yet, between 52% and 89% of Americans every year since 1990 have thought that crime is on the rise. Great stuff, fairly frightening in its implications. Bloody demon box. I’ve suspected as much all along — because I noticed this skewing / catastrophic vision in my own perspective. I’ve long been a viewer of “CBS 48 Hours Mystery” episodes as well as “48 Hours Hard Evidence”. I’ve watched almost every available episode and I find that, without doubt, my mood gets very melancholy and paranoid thinking becomes a possibility.